Light displays, parades, festivals and theater fill Chicago's event calendar in November and December, making it a magical time to be in the city. 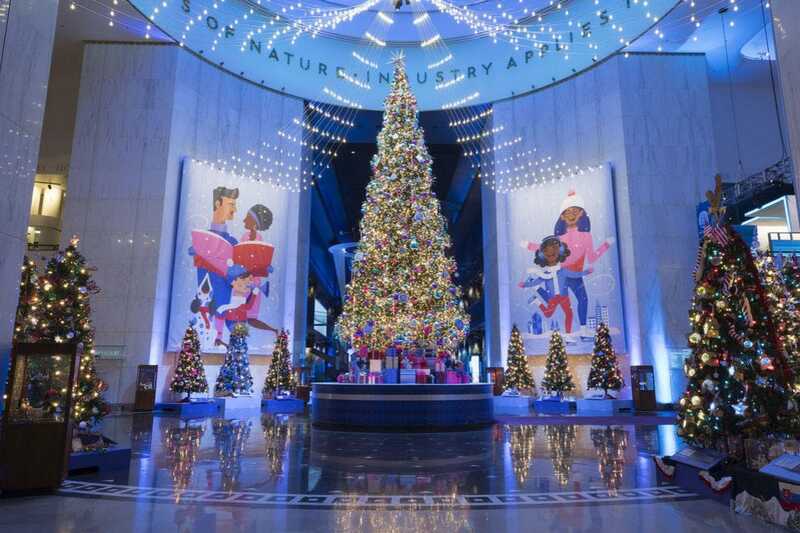 Chicago's famous museums have annual holiday exhibits and the most festive may be the Museum of Science & Industry's "Christmas Around the World and Holiday of Light" exhibit. 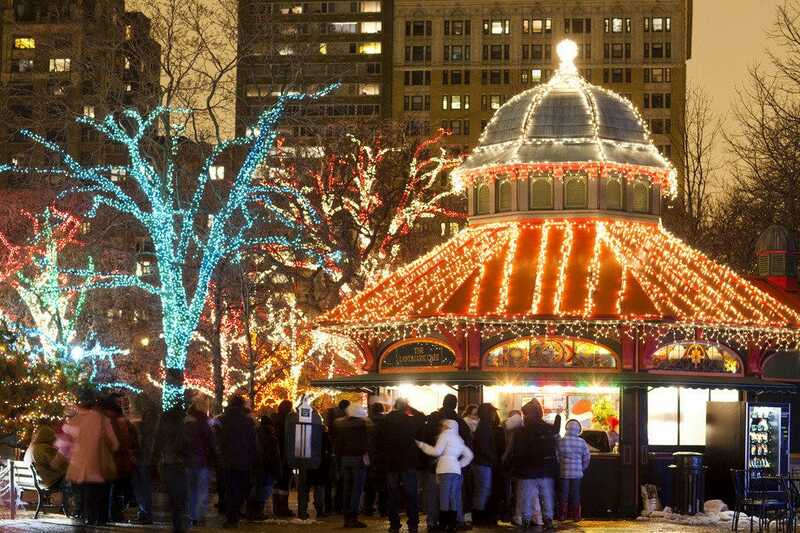 It won't cost you a dime to stroll "Zoo Lights" at Lincoln Park Zoo or to see the animated windows ringing Macy's on State Street (or do you still refer to it as Marshall Fields.) Afterward, go inside the store to shop and admire the towering Great Tree while indulging in a chicken pot pie (based on Mrs. Hering’s original recipe from 1890) at the famous Walnut Room, the first restaurant ever opened in a department store. 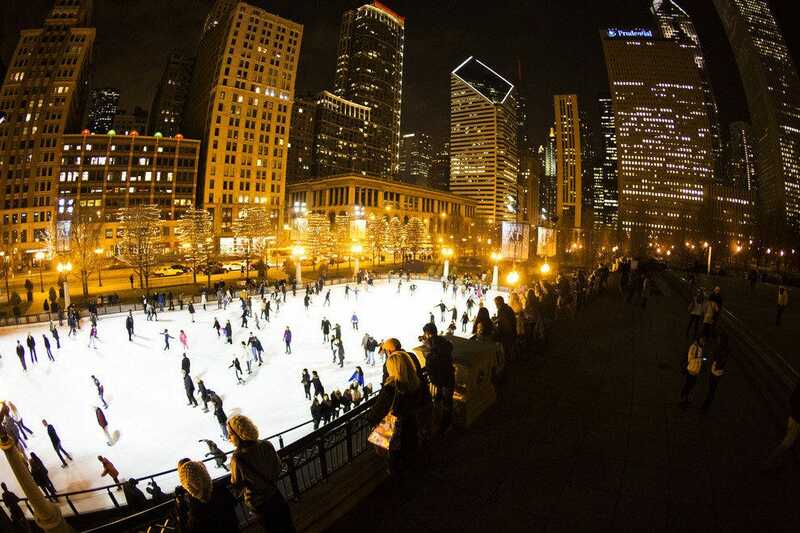 If you want to play outdoors, rent ice skates and take a spin around the outdoor ice rinks at Millennium Park or Maggie Daley Park. Those who prefer to stay out of the cold might consider seeing one of Chicago's beloved holiday theater productions, such as Joffrey Ballet's "The Nutcracker." If watching miniature trains of "Wonderland Express" at Chicago Botanic Garden or sipping warm wine at Christkindlmarket don't knock the Scrooge out of you, nothing will! 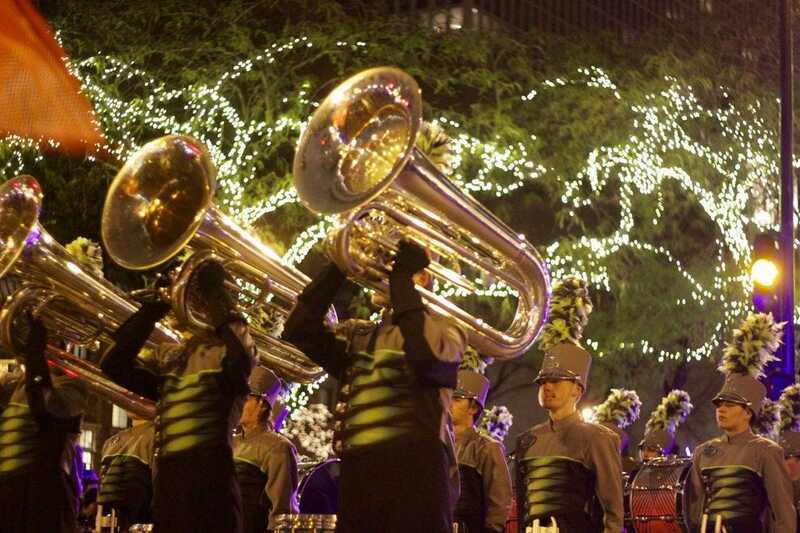 The 27th Annual BMO Harris Bank Magnificent Mile Lights Festival kicks off the 2018 holidays with two days of free, family-friendly activities and an evening tree-lighting parade along North Michigan Ave. The festival begins at Lights Festival Lane on Friday afternoon, Nov. 16 and continues throughout the day on Saturday, Nov. 17. Grand Marshals Mickey Mouse and Minnie Mouse from Walt Disney World® lead the parade and illuminate more than one million lights along The Magnificent Mile. 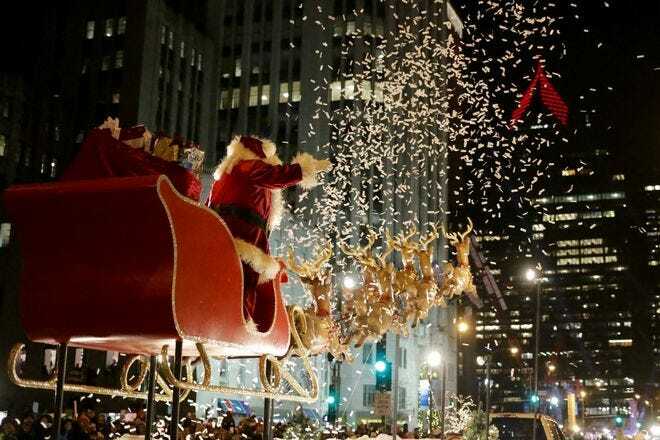 Returning festival favorites include Santa Claus, a Kids Zone and treats from Garrett Popcorn and Eli's the Cheesecake Company.Lights The grand conclusion is a spectacular fireworks display over the Chicago River at Michigan Avenue and Wacker Drive. Be prepared for crowds - more than 1 million people have participated in past years. From Friday, Nov. 30, 2018 to Sunday, Jan. 6, 2019, crowds pack Navy Pier even more than usual for this popular holiday festival. There are lights and decorations outdoors and inside Festival Hall, you'll find 170,000 square feet of carnival rides and games, giant slides, holiday-themed activities, an indoor Ice skating rink and food and drinks. Definitely aimed at younger kids, there's everything from bounce houses to a short zip line. 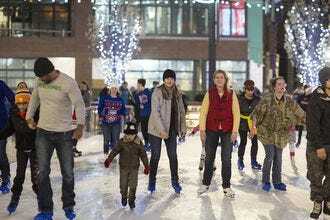 Rent skates and glide along the indoor ice rink. Every ticket includes a ride on the 200-foot-tall Centennial Wheel with temperature controlled gondolas so you can experience comfortable rides with unparalleled views of the city and lake all year round. The festival often has long lines, so try to go as early as possible, and on weekdays. This massive museum, one of the first and best in the country, features more than 2,000 hands-on exhibits about everything from outer space to robots. During the holidays, locals and visitors are treated to the annual Christmas Around the World and Holidays of Light extravaganza. There are more than 50 decorated trees and displays ringing a 45-foot-tall Grand Tree that's wrapped in 30,000 lights. Catch "snow" as it falls every 30 minutes inside the Museum's Rotunda. Cultural organizations and various communities decorate trees and displays with hand-made ornaments that honor holiday customs from around the world. Holidays of Light brings the traditions of the Chinese New Year, Diwali, Kwanzaa, Ramadan, Hanukkah, Visakha Puja Day and St. Lucia Day to Chicago. 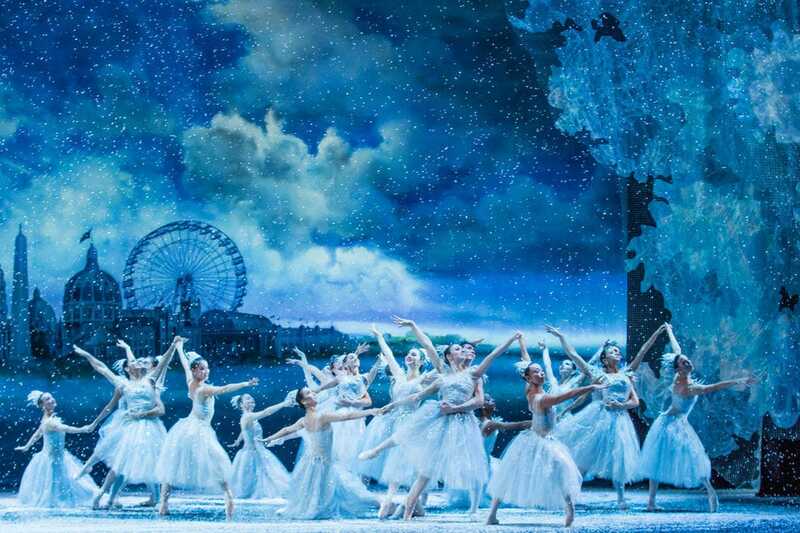 Every boy and girl should see at least one ballet and the one that may keep the squirming to a minimum is The Joffrey Ballet's wonderful rendition of The Nutcracker. The critically acclaimed classic is reimagined by Tony Award®-winning choreographer Christopher Wheeldon and it highlights the city's famous World's Fair of 1893 (in the Fair's 125th anniversary year). Returning to the historic Auditorium Theatre of Roosevelt University for 29 performances, Dec. 1-30, 2018, the magical production opens in Chicago on Christmas Eve, 1892 and take audiences on dreamy visits to the Fair's attractions. 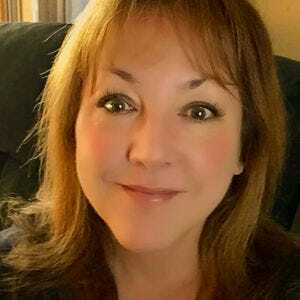 The Chicago Philharmonic provides live musical accompaniment of the beloved Tchaikovsky score. Don't be surprised if they become balletomanes and beg to see this holiday favorite every year. Macy's on State Street marks the 51st Holiday Window Display and the 111th Annual Great Tree Lighting in 2018. 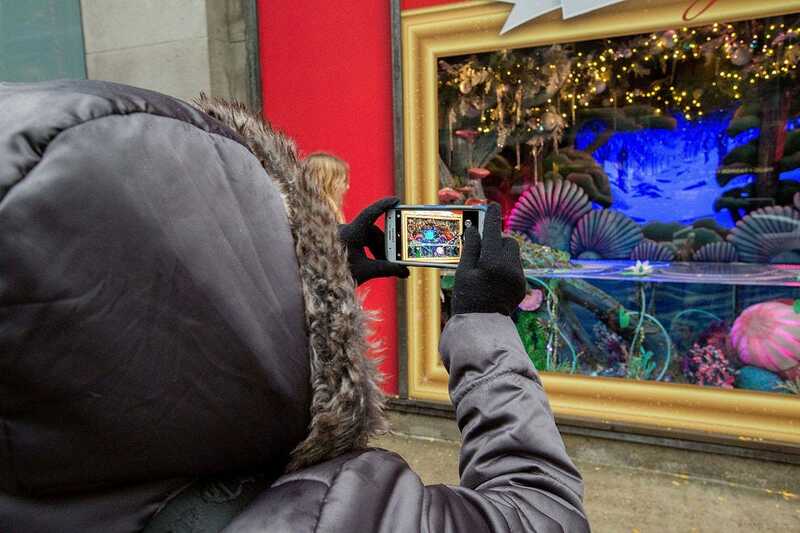 .Walk from window to window to peek at Macy's nostalgic holiday display with each window featuring a different scene of animated characters, following a holiday story or theme - Reasons to Believe - paying homage to the things that make the holidays a favorite time of the year. Holiday Windows at Macy's on State Street will be on display Nov. 3, 2018 through Jan. 2, 2019. Afterward, dig in to a chicken pot pie or sip eggnog at the store's legendary restaurant, The Walnut Room. While the lines can be long and the service can be slow, the restaurant's setting is gorgeous, overlooking Macy's Great Tree - an elaborately decorated, nearly 50-foot wonder. 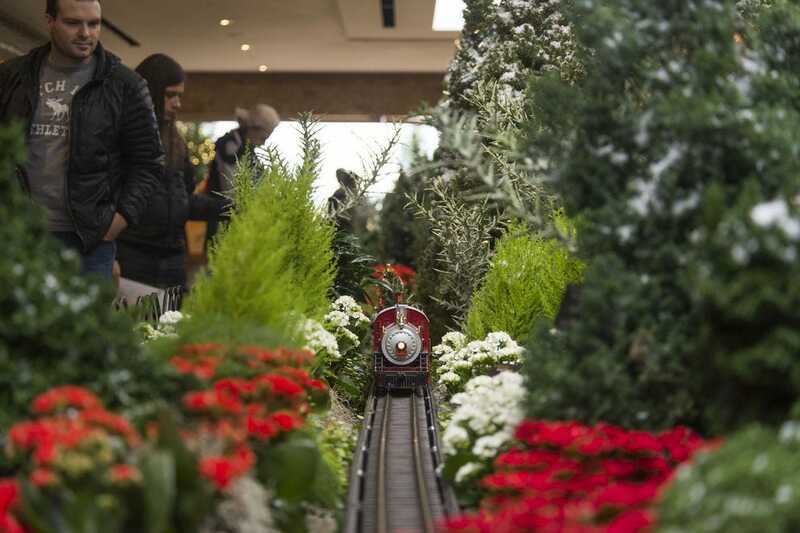 Some 700,000 twinkling outdoor lights, an indoor model train exhibition and special events make Wonderland Express at Chicago Botanic Garden a beloved holiday tradition. The Esplanade features trees wrapped in lights and a massive evergreen tree decorated with multicolored lights. Greenhouses are decorated with colorful plants and wreaths. Get a ticket to continue through Joutras Gallery and its gingerbread village encircled by a train. Nichols Hall is transformed into a storybook model train landscape with more than 80 miniature replicas of Chicago landmarks crafted set in a horticultural display including poinsettias, small fir trees, amaryllis and boxwoods. Look for a replica of an old-style railroad water tower while gazing upon garden-scale trains winding along tracks, trellises and bridges. Plan your visit between Friday, Nov. 23, 2018 to Sunday, Jan. 6, 2019. Tickets are half- price on Tuesdays. Access to the outdoor lighting displays, greenhouses and greenhouse gallery is free. 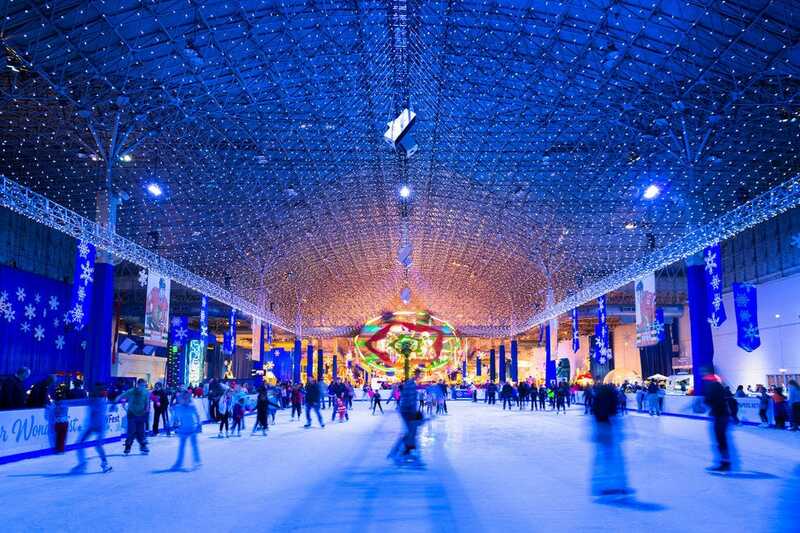 If you dress for the weather, a fun holiday activity for families, friends or couples, is to take a spin around the outdoor ice skating rink in in the middle of Chicago's scenic Millennium Park. 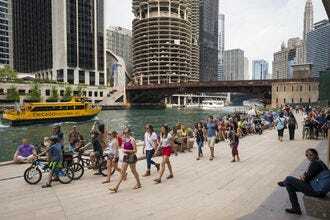 In the heart of downtown Chicago, on Michigan Avenue between Washington and Madison Streets, the 200-foot-long, 80-foot wide rink welcomes locals and tourists. Admission to the rink is free, and skate rental is $12 weekdays; $14 weekends and holidays. Another beautiful downtown ice skating rink is just a bit farther south - the ribbon-shaped skating area at Maggie Daley Park. The high-end Peninsula Hotel also has a SkyRink on the fourth floor, four stories above Michigan Avenue, with an outdoor menu of hot beverages and snacks. Groups or those with a marriage proposal on the holiday menu can rent the Sky Rink. When the lights go down in the city, more than 2.5 million lights adorn the zoo during its annual ZooLights holiday tradition. For 24 years, the festive experience has offered free family-oriented holiday celebrations featuring the luminous displays and incredible seasonal activities. Take photos with Santa (through Dec. 23 before he has to book for the North Pole and his big night); enjoy warm spiced wine and frosty beers; indulge in gift shopping and holiday snacks; listen to carolers and musical light shows at the Winter Wonderlawn; grab your 3D specs for the special displays; and stroll Candy Cane Lane and more than 100 giant, themed displays. 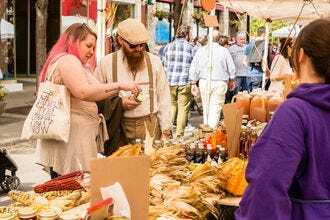 From Nov. 16-Dec. 24, 2018, shop for Christmas gifts and then raise your beer steins at this popular seasonal German-themed market in the center of downtown Chicago. Pricey but beautiful ornaments, nutcrackers, cuckoo clocks and other unique crafts are for sale in the wooden huts lining Daley Plaza. Duck into the Grand Timber House and Festival Tent to warm up, take a load off your feet, and sample specialty sausages, potato pancakes, schnitzel, sweet Stollen and pretzels. Gluhwein, a spiced German wine, is a perennial favorite. Modeled after the original festival in Nuremberg, Germany, Christkindlmarket also has live music and performances like a roaming Alpine Brass band. 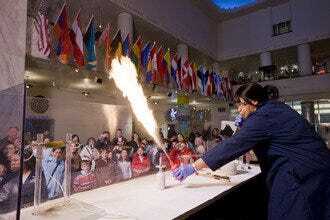 Be prepared for crowds, cold weather but also lots of holiday spirit. It's worth the drive to see this creative holiday lights display in the beautiful arboretum. 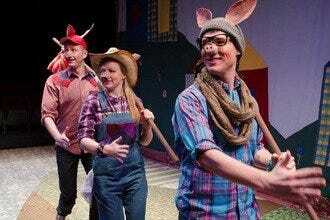 You won't see the usual images of Santa or Rudolph because nature is the star of this show. 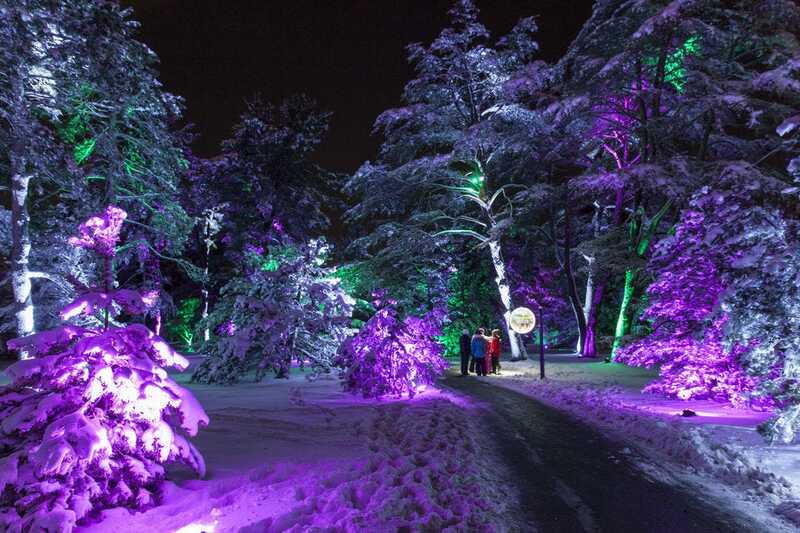 Illumination: Tree Lights at the Morton Arboretum is created with interactive features that allow trees and lights to "react" to sound and motion. 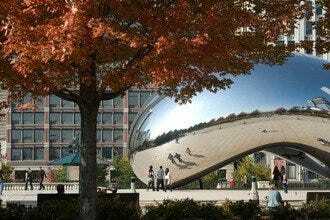 The mile-long kaleidoscope of color is a combination of nature, technology and holiday spirit. 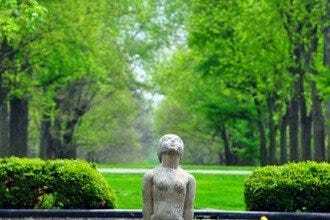 Choose to stroll the main path that offers hands-on fun or a serene trail and view around the lake. Open from Nov. 16, 2018-Jan. 1, 2019, experiences and sights include Crown of Light: a five-piece sculpture from a Smithsonian-featured arts collective. Step into Woodland Wonder, grove of trees enveloping you rotating points of light. Peek into the Ginkgo Restaurant weekdays for live entertainment, Santa visits and adult beverages. It's family-friendly, but on warmer nights, it can also be very crowded.